You may want to look down before you take those Easter bluebonnet photos. Pit vipers, like the rattlesnake, kill an average of one to two Texans every year. While not every snake is poisonous, doctors say that bite victims should always seek medical attention. For most Texans, spring time gives us small window of opportunity to trek outside in some bearable weather. 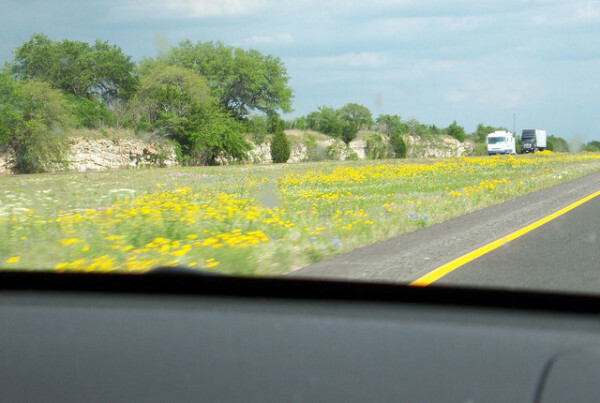 It’s almost become a tradition for Texans to use this precious time go about doing what so many other Texans do – take photos in patches of bluebonnets. But just as we humans are beginning to shake off winter and go outside into the sun, so are the snakes. Anyone who’s spent a significant time in southwest can tell you, snake bites are a real danger. So what do you if you encounter one? Jill Heatley is a veterinarian at Texas A&M, she says that most snakes tend to be just as afraid of humans as we are of them. But what if you are one of the 7,000 unlucky people in the U.S. who gets bitten? Miguel Fernandez is the director of the South Texas Poison Center at the University of Texas Health Science Center in San Antonio, he says the best idea is to not overthink things. “The first thing is don’t panic, you dont want to force faster circulation of the venom through your body,” Fernandez says. Fernandez is quick to point out not to try any of the things you see in the movies: sucking out venom, rubbing it with ice, or trying to catch the snake for identification.